What a wonderful curative the Palm Pre has proven to be for Palm. Especially considering that the device has yet to ship. In early January of this year, the company’s shares were trading below $3, having been dragged deep into the mud by a string of nasty quarterly losses. Five months later, after the Pre’s announcement at the Consumer Electronics Show, they’re trading at over $10. And Jon Rubinstein and Roger McNamee are largely responsible for that. Rubinstein is an Apple (AAPL) veteran who’s now Palm’s (PALM) executive chairman. And McNamee, managing director of Elevation Partners, is the guy who recruited him for that position. Together, they’re remaking Palm in a bet-the-company move to recover its long-lost glory. Should be an interesting session. A couple pieces of Palm-related breaking news before we begin. Verizon Wireless (VZ) CEO Lowell McAdam this morning said the company intends to sell the Pre about six months from now. Also, the Pre will reportedly sync with iTunes. This session is prefaced by video of a faux-advertising shoot in which McNamee makes increasingly preposterous claims about the Palm Pre over Rubinstein’s protestations. It’s funny as hell, and not all that far off from reality if you know the company’s recent history. McNamee, as you may recall, made some silly claims about the Pre’s prowess in a March interview with Bloomberg–so silly that Palm was forced to file a Free Writing Prospectus with the SEC refuting them. So to hear McNamee boast that the Pre is the only handset based on alien technology–well, I wouldn’t be surprised to read that in Bloomberg tomorrow. While the audience is still chuckling, Walt and Kara welcome Rubinstein and McNamee to the stage. Walt asks McNamee about his claim that all iPhone owners with expiring contracts will switch to the Pre. At what time will that happen? “4:25 p.m,” quips McNamee. On to the demo. Discussing the idea of synergy–managing information across applications and multitasking. Multiple apps can be run at the same time. Not an infinite number, Walt notes, but quite a few. On to media. MP3 player includes onboard support for Amazon’s (AMZN) MP3 Store. Files are downloaded directly over the air to the device. Very slick. Plug the Pre into a PC and you’re offered the option of using the device as a USB drive, charging it or beginning a “media sync.” Interesting, using media sync, the Pre does indeed sync with iTunes, though it’s hamstrung by Apple’s DRM-protected songs. Can’t imagine that Apple’s too happy about that. Presumably, Apple legal is already drafting a letter. Pre appears to make iTunes think it’s an iPod. The media sync feature also works with iPhoto and syncs photos to the Pre. That’s not likely to go over well at Apple either. Moving on now to WebOS, Palm’s new operating system. The key feature is the Web App Catalog, Palm’s analog to Apple’s App store. Palm will have just a dozen or so apps in the store when the Pre launches next week. Kara jokes that Palm should simply port all the apps in the Apple’s App Store over to its own store. Rubinestein and McNamee demo a download of Fandango. Tap to download. App is downloaded over the air. Apps do not sync with iTunes, they’re stored on the device. Fandango on the Pre looks and works pretty much as it does on the iPhone and the BlackBerry. It does have an interesting additional feature or two. A simple gesture adds a movie time to the calendar. Tap the screen and the Pre’s calendar ingests info from Fandango. Pretty elegant integration with the Pre’s core applications. Moving on to universal search. Very slick and something the iPhone lacks. Search for D7 on the Pre device yields no results, but the user is offered the option of searching Google (GOOG), Twitter, etc., for the same query. The Twitter search reveals the following Tweet about iTunes syncing: “Apple may not like this, but it’s damn cool.” Indeed. McNamee says the model here is “When in doubt just type.” Simple. Elegant. When the demo ends, Walt asks about Palm’s competitors. Clearly Apple and RIM (RIMM), says Rubinstein. He adds that the battle that’s going to be fought is not about hardware, but software. McNamee interrupts to say the opportunity here is to persuade people to move from the “feature phone” to the integrated device. Apparently, the iPhone is a feature phone and the Pre is the integrated device here. McNamee going on and on about the Pre’s design. Feels great in the hand. The Pre has a mirror. “Never before has a device like this been designed for a woman.” Nice, Roger. Perhaps someday it will include a blow dryer as well. Walt asks about the Pre’s keyboard, Rubinstein says that there are a lot of people who want keyboards. Applause from the audience. That said, the iPhone’s lack of a keyboard clearly hasn’t hurt it in the market. How do you woo developers away from the iPhone? Rubinstein says Palm doesn’t need to. It’s easy to develop for the Pre. “We have a great SDK.” Walt notes that the SDK hasn’t been widely distributed yet and the Pre is just days away from launch. Rubinstein says this was intended. “We’re doing this methodically.” There are hundreds of developers with the SDK right now, and thousands in the queue waiting for it. Why? McNamee jumps in again and says the company wants to get it right, but seems to suggest that the SDK may not be quite as polished as Palm would like. When the Pre debuts will there be a shortage? Walt cites varying rumors about how many handsets will be available initially. Rubinstein says the company is in full production now and shipping devices every day to Sprint (S). That said, he expects there may be shortages due to high demand. On to the Q&A: When will there be a GSM version? Palm expects to have one at some point in the future. What about the Verizon deal, asks Walt, noting this morning’s Verizon story. Rubinstein says he can’t comment. 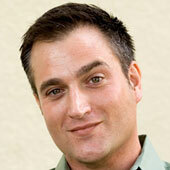 We do love Sprint and they are our exclusive launch partner,” Rubinstein said. “It sounds like AT&T (T) and Verizon both want it. I can’t comment on unannounced relationships.” He notes that BellMo will distribute the Pre in Canada. Questioner wants to know about overlapping features in Pre, iPhone ? Yes, says McNamee, refering to the Pre’s EAS. As a generalization, everything you’re used to in an iPhone will be in the Pre as well. And if it’s not there initially it will be there soon. 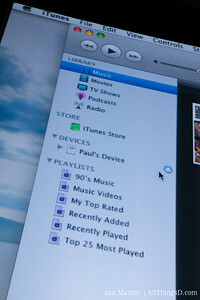 Does Palm worry that Apple might break the Pre’s iTunes sync feature? McNamee doesn’t seem to think so. “We’re recognizing their market dominance…and they can’t tell people what to do with their music. McNamee on his investment in Palm and the Pre: If I could have put everything into it, I would have. 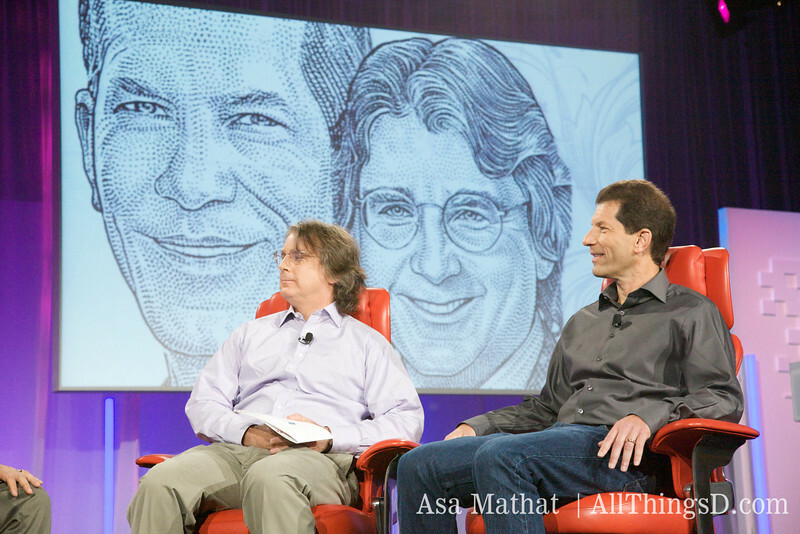 Elevation Partners’ managing director Roger McNamee, onstage with Palm chairman Jon Rubinstein.